point at Liquids International in the CBD. 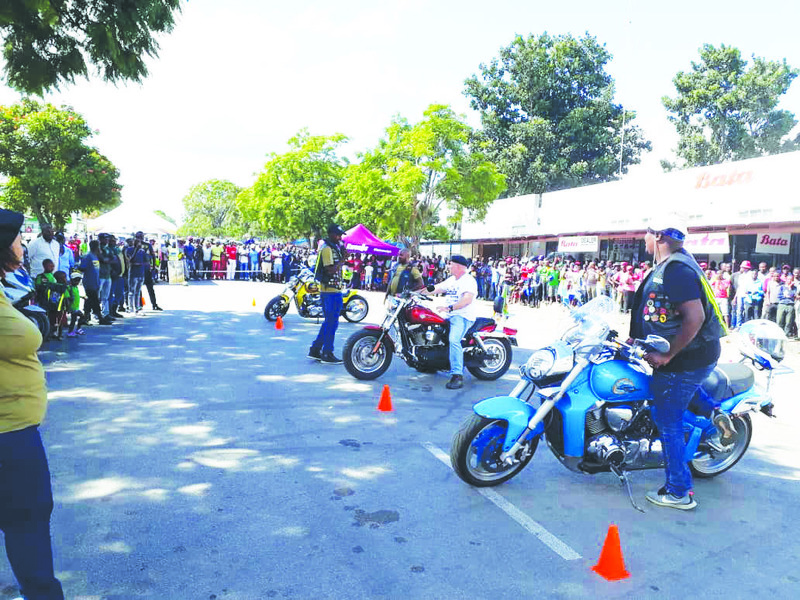 MASVINGO- Bikers from across the country and South Africa left Masvingo residents in awe with their biking skills as they turned sharp corners in high speed from their base at Nomajeans Hotel to the CBD. The bikes were making ear piercing noise such that one was forced to take a glimpse as the bikers did what they know best, entertaining viewers. 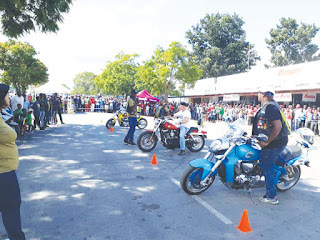 The oversubscribed event had over 50 bikers and was organized by Bikerboys Motor Cycle Club Masvingo through chapter president Pumulani Ncube and chapter general Sylvester Chikondo last week on Friday and Saturday. The competition which is meant to promote tourism and charity work was held at Great Zimbabwe before they went to Alpha Cottages to donate an assortment of goods and food hampers. The bikers took part in various sporting activities like tug of war , army games , small bike , loudest bike .The motorcycle clubs that were there included Bulawayo Ruffriders , Sapa Yopa Riders and Eagles Riders from South Africa, ZimFree Riders and Bikerboyz Riders and those who did well walked away with prizes.